Divine Comedy | / Human Tragedy - what is life? / Human Tragedy – what is life? Life is a tragedy and this dismal tale is sold to us in every magazine and paperback: ‘The thousand books you must read before you die’; ‘The ten must-see destinations for your bucket list’. The shape of the story is up then down and the advertisers are primed to sell you the uppiest up that money can buy because the down really is a downer. Then – against all the odds and in distinction to all its competitors – the Bible comes along and dares to tell a different story. Not up-then-down, not the cosmic frown. 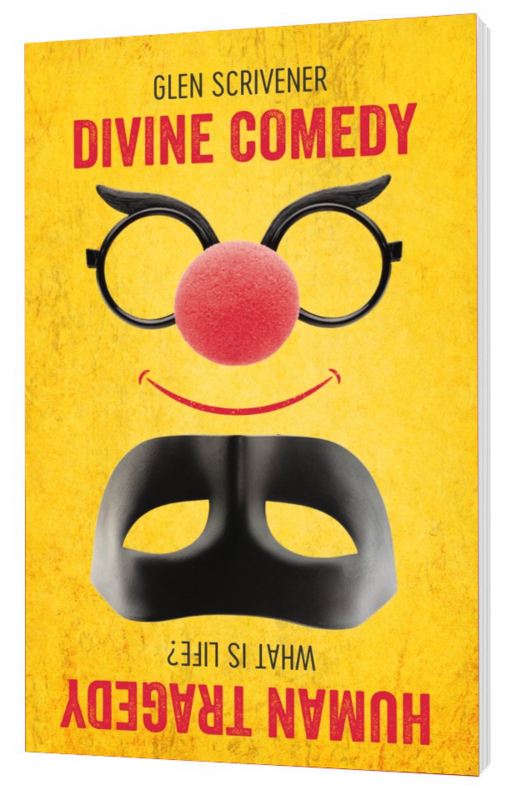 Jesus turns things right-side-up and brings the world a divine comedy. So which is it: tragedy or comedy? Read this book and decide for yourself.